Living a Fit and Full Life: Masqueology - Amazing Masks for Face, Hands and Feet! Masqueology - Amazing Masks for Face, Hands and Feet! M*O products were created with a group of chemists and dermatologists dedicated to the improvement of how our skin reacts to the environment and chronological aging. Previous research already established clear evidence that exposure to ultraviolet light – UVA and/or UVB –has a profound effect on wrinkles and premature aging of the skin. This group specifically focused their research on photo aging, damage to the skin caused by daily exposure to UV rays including visible effects such as wrinkles, skin roughness and hyper pigmentation. The same UV rays transform the 7-dehydrocholesterol (pro-vitamin D3) in our skin into the essential Vitamin D3. The research team concentrated their efforts to combat the decrease in the production of 7-dehydrocholesterol that occurs as we age. Pro-Vitamin D3 is the most important factor in protecting the skin from photo-damage. After 10 copious years of research, our dermatologists have created a patent formulation for an anti-wrinkle ingredient. M*O needed to create an easy convenient way to deliver advanced active ingredients to your skin. A mask system would deliver the right amount of product and allow for the concentrated amount of time needed for the products to penetrate into the layers of skin and be absorbed. The old technology of the paper masks was simple and convenient but not advanced enough to effectively deliver the special ingredients found in M*O. A need for a new technology to hold these specific ingredients lead to the development of the Gel Mask with it's unique two part construction giving it a better fit to all face shapes. The inner-woven mesh pattern gives the gel mask the flexibility to hold the right amount of product and the strength to be easily handled. Additionally, the use of Silk Cellulose Masks was chosen for use with specific masks which require compatibility with certain active ingredients without losing any strength or comfort. The masks are easy to apply and can be worn at anytime. M*O masks are a fast, easy way to get an intense treatment in a short time at an affordable price. M*O masks have an additional beneficial effect on your face. While wearing the masks for 20 minutes, you are releasing the stress of your facial muscles. The result is a very smooth, relaxed and tranquil appearance. Taking those few minutes for yourself gives you the gratification that you are focusing on you. The masks work both physically and mentally relieving the stress of the day on your skin. M*O is creating a new lifestyle approach by energizing your skin's natural functions and relaxing the signs of stress on your face. 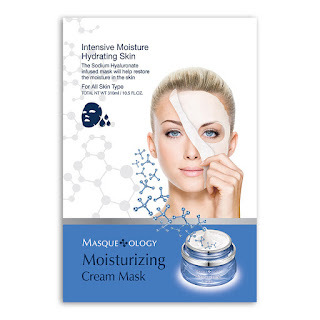 Moisturizing Cream Mask with Caviar by Masqueology. Intensive Moisture Hydrating Skin. The Sodium Hyaluronate infused mask will help restore the moisture in the skin. Eyes and mouth can either be covered or exposed. No need to rinse, massage remaining product into your face and neck. 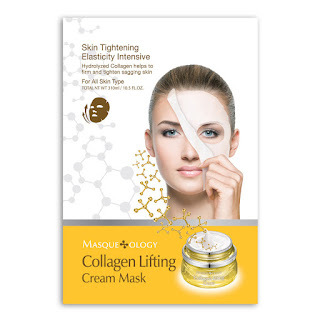 Collagen Lifting Cream Mask with Hydrolyzed Collagen by Masqueology. Skin tightening elasticity intensive Hydrolyzed Collagen helps to firm and tighten sagging skin. 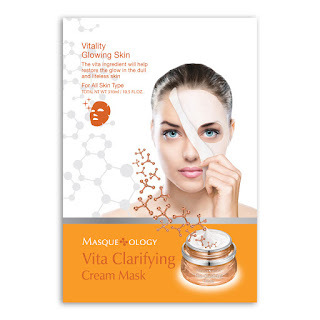 Vita Clarifying Cream Mask with Vitamins by Masqueology. Vitality Glowing Skin. The vita ingredient will help restore the glow in the dull and lifeless skin. Special Care Cream Mask with Aloe Vera, Peptides by Masqueology. Total Skin Care Skin Calming. The peptide ingredient gives elasticity to the skin while giving a healthy skin through a strong skin care regimen. 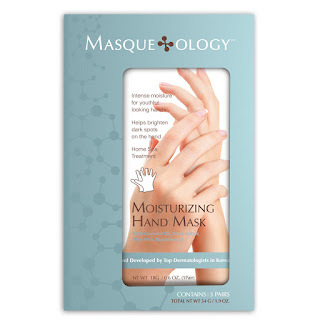 Masqueology Moisturizing Hand Mask. The concentrated advanced ingredients such as coconut oil, shea butter and aloe vera are infused into a deeply relaxing hand sheet mask. These multi-tasking masks are designed specifically to contour the shape of your hand. In only 20-minutes the treatment results are fast and effective rivaling those of any luxury spa. Unfold mask and insert each hand in the mask like a glove. After 15-20 minutes, remove the mask from your hands and discard. No need to rinse off. Massage remaining product into your hands and nails. 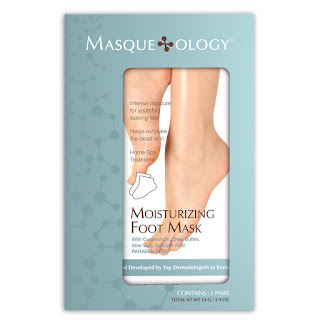 Masqueology Moisturizing Foot Mask. The concentrated advanced ingredients such as coconut oil, shea butter and aloe vera are infused into a deeply relaxing foot sheet mask. These multi-tasking masks are designed specifically to contour the shape of your feet. In only 20-minutes the treatment results are fast and effective rivaling those of any luxury spa. Wash your feet thoroughly and dry. Unfold mask and insert each foot in the mask like a sock. After 15-20 minutes, remove the mask from your feet and discard. No need to rinse off. Massage remaining product into your feet and nails. If you haven't heard about Masqueology's amazing masks for face, hands and feet you've definitely been missing out! I've always suffered from dry skin on my hands and feet so when I heard about Masqueology's Moisturizing Foot Mask and Moisturizing Hand Mask I was instantly intrigued. One because it was a mask for your hands and your feet which seem strange but let me just tell you it's absolutely amazing! My hands and feet have never felt softer! I also love that there's no need to wash your hands and feet after, you simply massage the remaining product into your skin. Masqueology's Moisturizing Cream Mask with Caviar, Collagen Lifting Cream Mask with Hydrolyzed Collagen, Vita Clarifying Cream Mask with Vitamins and Special Care Cream Mask with Aloe Vera, Peptides have given me glowing vibrant skin like never before. I also love how relaxing they feel while you wear them. They instantly hydrate my dry skin and are pure heaven. Simply leave on for about 20 minutes and massage the remaining product into your skin and you'll be completely amazed at how renewed and refreshed your skin both looks and feels. I'm completely in love with Masqueology's masks! Click HERE to learn more about Masqueology! Follow Masqueology on social media!